Also check out our tutorial on How to Carve a Pumpkin. 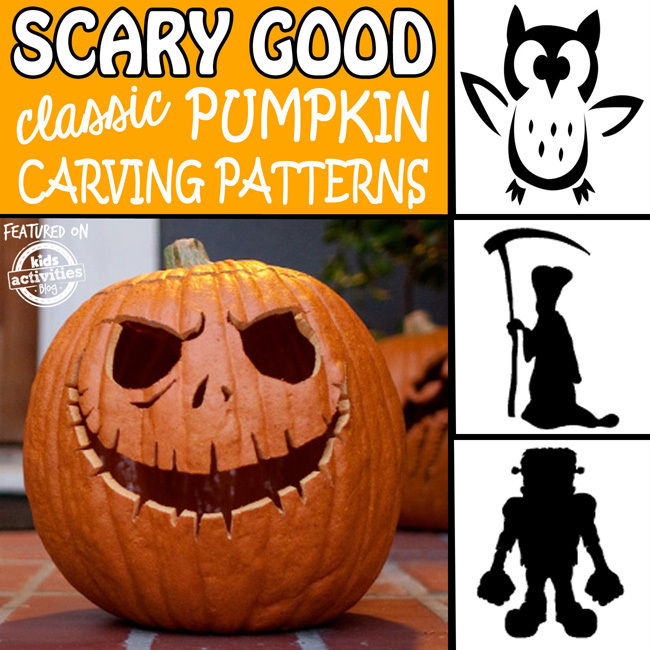 We love the flying bat, creepy spider, and graveyard ghost pumpkin stencils in this Free Halloween Carving Patterns guide. -via Pumpkin Masters. Here’s a spooky collection of goblins, monsters, and scary creatures jack o lantern patterns. -via Cartoon Jr. 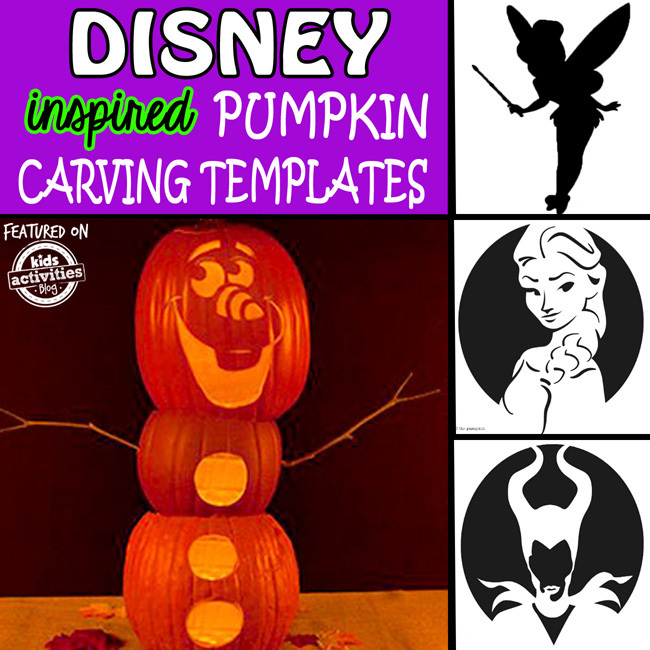 Kids love Disney Princess and Villians free pumpkin carving templates. -via Cartoon Jr.
Don’t let this Maleficent Disney jack o lantern pattern scare you! -via Cartoon Jr.
My little girl is going to fall head over heals for these Hello Kitty pumpkin stencils. 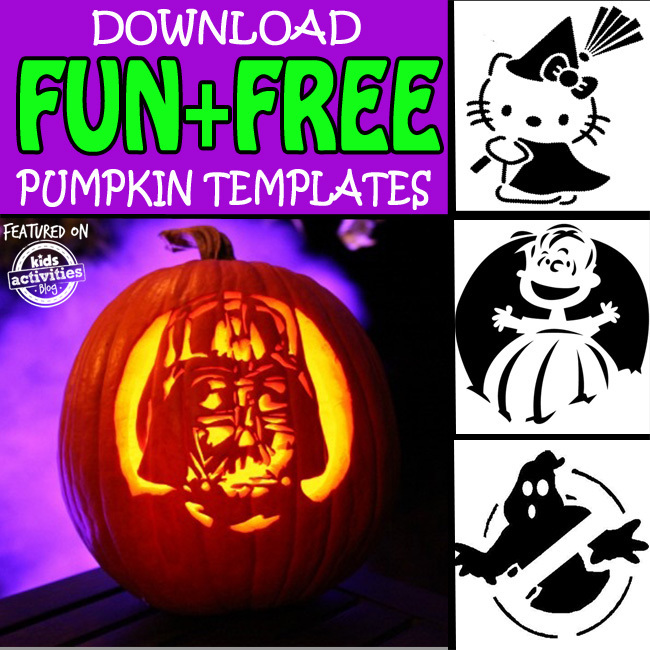 -via Cartoon Jr.
Scroll about halfway down the page for a Darth Vader Star Wars free pumpkin carving stencil. Lord of the Rings fans will love this Gandalf pumpkin carving template. We want to see YOUR pumpkin carving creations on our Facebook page! Don’t forget to share this post of 35 of the BEST Jack o Lantern Patterns with all your friends.